In providing you with a clear overview of the market tools for technical analysis, we were able to access some of the most highly respected books in investing. The Japanese candlestick comes into focus as we cover the tools necessary to be a successful trader. The Japanese chart is one many investors rely on to get a hold on price and momentum. There are many market factors to decide on when getting in and out of trades, so it helps to work with a strong foundation of data. You’re about to discover why the Japanese candlestick changed how traders make money and how they see the market. Market conditions are created by bulls and bears, and this chart will help you to see that. The most effective tools in the market are those that give us control over our own psychology. The behavior of prices bring out the worst and best of us. These emotions and ideas are either driven by greed or are based on analysis and logical thinking. Keeping your thought-process logical requires that you establish a form of trading that relies on accurate tools. The books we studied to write this post bring us to a better view of the tools necessary and how they are used. The need for logical thinking puts the design of the Japanese candlestick to the forefront, but first, we need a clear sight of technical analysis. How does Technical Analysis Come into Play? Technical analysis is compared to fundamental analysis. Fundamental analysis looks to the news and spreadsheets of businesses to asses their value. Technical analysis instead looks at the charts, which only show prices. These prices are then used to measure the real value of an asset and when to buy or sell it. Technical analysis is why the Japanese candlestick exists. Technical analysis has been so reliable that Japanese traders have taken it further by creating a larger perspective on prices. That perspective is built from market psychology, past prices and current price formations. These are all condensed into the way Japanese candlesticks show price-data. Timeframes are a changeable technical tool that work alongside candlesticks to adjust your data based on a span of days, hours or minutes. For example, for the formation found in an hour chart, each individual candlestick represents an hour. You can change this so that each represents a day or 30 minutes. 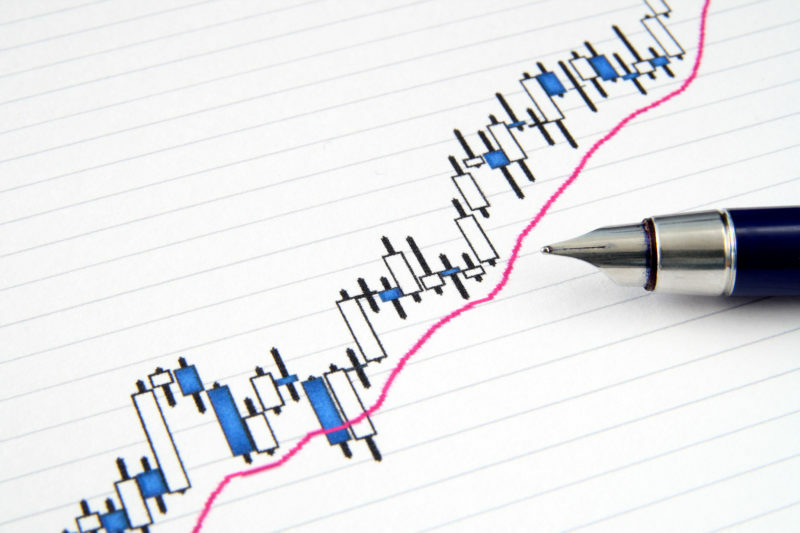 Technical indicators work with price charts by providing relative data on live prices. The straight line that live prices move in are instead altered to show comparisons of past price ranges and how markets have behaved. These indicators work well with the candlestick chart and allow you to gather a wealth of data for current market movements. The opening, closing and ranging prices are the data points charted by the Japanese candlestick. These data points may seem unimportant at first glance, but they offer a world of knowledge that common charts are unable to. The traditional line chart shows prices based on a given moment, whereas, the way candlesticks form, they show prices in relativity. These are data points relative to current price actions and help traders to get a clear view of what’s really going on. Staying a few steps ahead of the market is central to making decisions with a clear head, and it’s no wonder why the world has now set the Japanese candlestick as a default charting option for professional trading. Chart patterns are breathing and living concepts. Each trading day pulls and pushes price in and out of ranges, resistances and support-lines. The constant movement of prices create repeatable patterns when those prices are laid out on a chart. The way prices are laid out differ drastically with candlesticks when compared to common line charts. – The Doji: This pattern occurs when a candle is flat on both top and bottom ends but has two long wicks. It appears like a cross because the movement of prices have been held in one place though attempts to raise and lower them have been made. This pattern is often used to signal a big change and certainly to highlight a stagnant market. – Breakouts: Breakouts occur when ranging prices are then changed by one candlestick. Prices that are trending downward, for example, show consistent red candles. Suddenly, a large green candle appears, but it not only begins to trend upward. The single candle engulfs the entire pattern of red candles that preceded it. This is a sign of a strong move in the opposite direction and one with the potential to keep climbing. Risk is the factor you calculate for potential loss, the stop-loss is the mark you set to limit your risk and your price-target is used to identify where it is you’re aiming. You need to calculate risk in order to verify when it’s most safe to enter your trades. When you don’t fully know what the market can do, you can set a stop-loss to protect against the unexpected. The price target is about establishing how much profit you want to take from the trade you’re in. These can all be accomplished by looking at the behavior of candlestick formations. Your best book to learn Japanese candlesticks may be Japanese Candlestick Charting Techniques if you really want to maximize on candlestick charts. Perspective is the key takeaway when you’re using the Japanese candlestick. No trader wants to get caught in a false price-move believing that what they see is the real deal. You can instead gauge current conditions by looking at how prices reached where they now are. Since candles provide you with the open, close and ranging prices, you can get perspective. You then want to confirm your trades with indicators for effect. Red candles immediately signal a down trend in prices while green bars show you a trend in prices as they are increasing. Consider your risks, and place a stop-loss to protect yourself from unexpected outcomes. Japanese candles offer a world of data that you can rely on daily. What Is The Best Way To Learn To Read Japanese?